Do scientists really know what consciousness is caused by? Perhaps one of the strangest mysteries of the universe is the question of how we became cognizant creatures. Being conscious is one of the bare-bone requirements of being alive, and yet, we still don't understand how it all came to be. Consciousness is the ability to think about your surroundings, be aware of yourself, and be awake. It's considered to be the essence of existence, particularly by Descartes, who so famously said, "I think, therefore, I am." It's hard to imagine that, at one point, a bunch of brain cells just worked together to grant humanity and so many other creatures the ability to be aware of their surroundings, think, and feel emotions. It's also hard to describe being conscious. 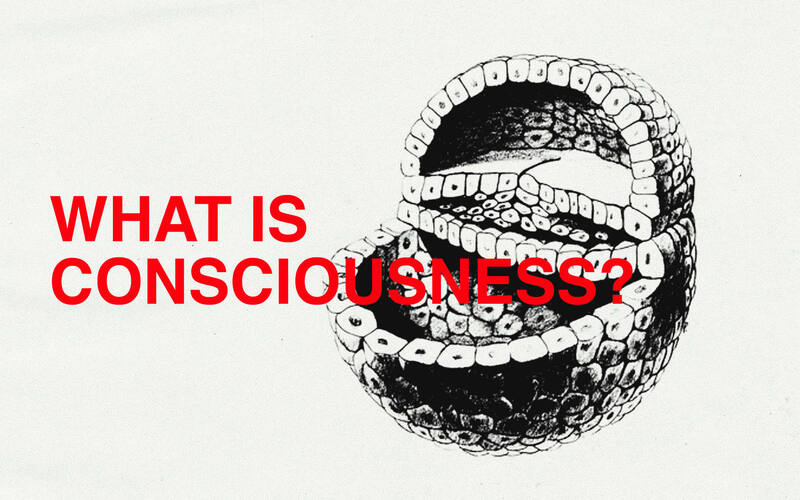 So, what is consciousness, really? Consciousness is the experience we all have had, but can't explain. How can you really explain what is consciousness like? It's more than just being awake. It's more than being aware, yet at the same time, it's simple enough for the smallest of children to acknowledge. Being conscious, in its own way, is probably different for every person out there. What's really strange about consciousness is that we all know what it means, but none of us know how it came to be, what part of the brain makes us conscious, or even what the full scope of consciousness is. To fully understand what we currently know about consciousness, we need to take a look at what scientists have uncovered about the human brain and its role in it. Where does consciousness exist in us? What is consciousness created by? For centuries, people believed that consciousness extended beyond the human body and used the pineal gland to interact with our bodies. This duality of being separate in mind and body is called mind-body duality — and for the most part, it was debunked. That being said, many thought leaders do believe that consciousness exists beyond our bodies. Though the pineal gland has been debunked as the center of consciousness, the brain itself has not. In fact, it's been confirmed that you can't really stay conscious without a brain — and we already know a large portion of how consciousness works in the human body. Recently, scientists have found that a part of the brain called the claustrum might be tied to the question of what is consciousness created by. When people have the claustrum stimulated by electricity, they immediately go unconscious. However, that could just be the on-off switch to consciousness. That region of the brain alone doesn't control thought or emotion. We already know what parts of the brain work for thoughts and feelings, and how they work together. We know that the cerebral cortex helps us gain consciousness and keep cognizant, while the cerebellum only helps us coordinate our muscles but does nothing for consciousness. None of the studies tell us whether we're still conscious in comas, or if brain damaged people experience consciousness on the same level that we do. To that extent, the mystery of consciousness is still as enigmatic as it ever was. So, what is consciousness made of? To a point, a large portion involving the mystery of consciousness boils down to this. Many scientists believe that consciousness is made up of integrated information our bodies take in and that our brains were designed to think as a way to make sense of it all. By making sense of our surroundings, we're better able to survive and thrive as a species. This theory suggests that it's an evolutionary advantage that has been perfected over thousands of years. This theory is rapidly gaining clout in the scientific community, primarily because it explains how different animals and people can have different levels of consciousness. It also explains what is consciousness used for on an evolutionary level — and why we would have it in the first place. But, even though there are good theories, the truth is that we still don't know what is consciousness in its entirety. The scientific theories out there don't really explain everything, though. Is consciousness an entirely physical thing? Well, according to physicalists, it is. But, if it's just physical, how is it that people who have been declared dead recalled events that happened while they were dead? What happens to consciousness in the case of zombie creatures? Moreover, are we still fully conscious if we have parasites in our brains? Dualists, who believe consciousness is both a physical and non-physical thing, might argue that there is both a physical and non-corporeal aspect of consciousness. But, what is consciousness, in that case? Where does the ethereal side of it come from? Where are the boundaries of consciousness, in the case of dualism, too? Can we be conscious as a group? Can our consciousness extend beyond the stars? Right now, we don't really have the answers — just a couple pieces of the puzzles. We know that there are major elements in consciousness that are intertwined with the brain. But, we don't really know what is consciousness — despite us experiencing it every day of our lives. Will we ever really know what consciousness is, or how to control it for sure? It's hard to tell, but it's definitely interesting to think about.